BERLIN -- LG Electronics will make a foray into Europe’s built-in home appliance market with its newest kitchen brand, pledging to improve the lives of consumers, said the head of the company’s home appliance business on Thursday. 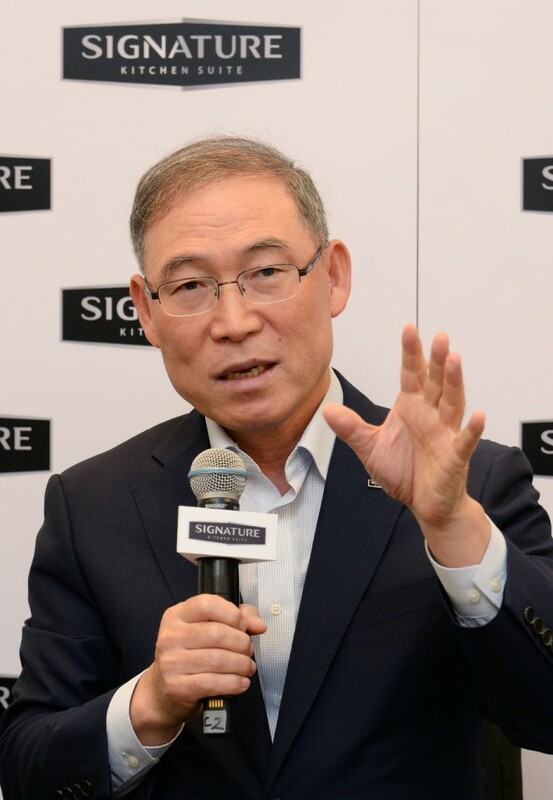 “LG’s home appliance unit is officially launching a new built-in brand, Signature Kitchen Suite, in Europe, which is a significant milestone for the Korean company to accelerate its foray into the world’s biggest built-in market,” said Song Dae-hyun, president of LG’s home appliances and air solutions unit during a press conference held Thursday, a day before the opening of the IFA 2018, the biggest home appliance trade show in Europe. 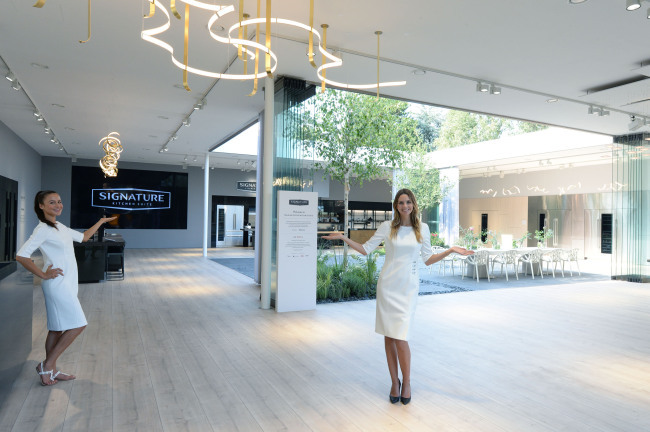 The Korean company will debut the Signature Kitchen Suite, a premium built-in brand, at the IFA show in order to expand its presence in the European market with smart services driven by artificial intelligence. Europe’s built-in market is worth about $18 billion, led by Miele and Ggenau. The Signature Kitchen Suite is a lineup of 14 kinds of kitchen appliances including refrigerators, ovens, electric ranges, hoods and dishwashers. The company doubled the number of items, as consumer interest in kitchen products is on the rise. To differentiate itself from European players, LG will provide design solutions by packaging kitchen appliances with matching furniture by local makers. Considering that European households have relatively small kitchens, LG has introduced packages that offer compact products. The company is also working with Innit, SideChef and Drop to offer recipe services, it said.